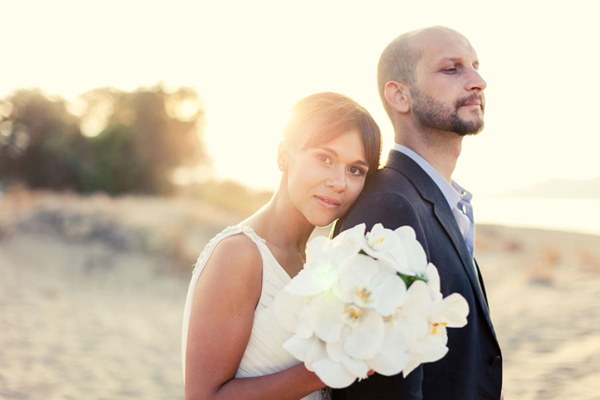 We are sharing today a gorgeous elopement on the beach that will mesmerize you! 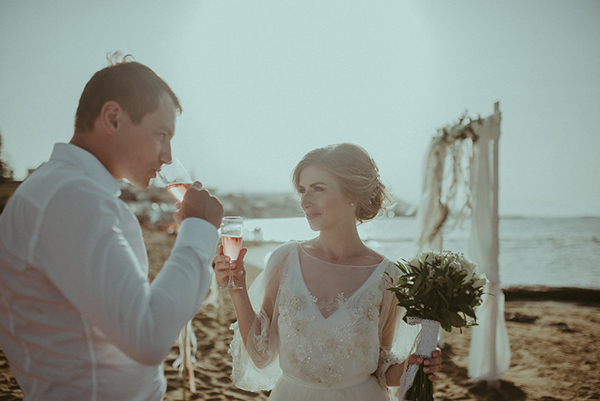 The lovely couple loves Crete and Greece in general, so it was the perfect destination for them to exchange their vows! 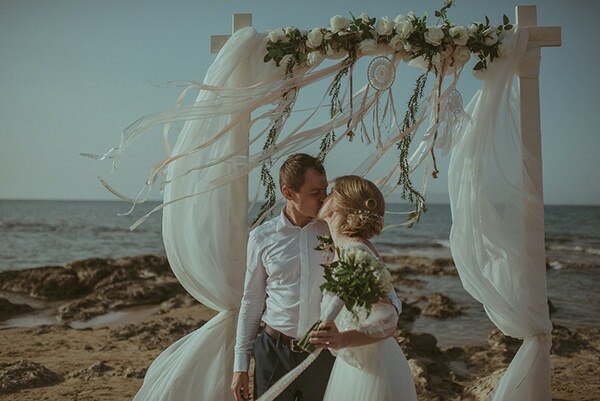 The ceremony took place under a beautiful arch with white roses and dreamcatchers, right on the beach and it was a magical moment as you will see! 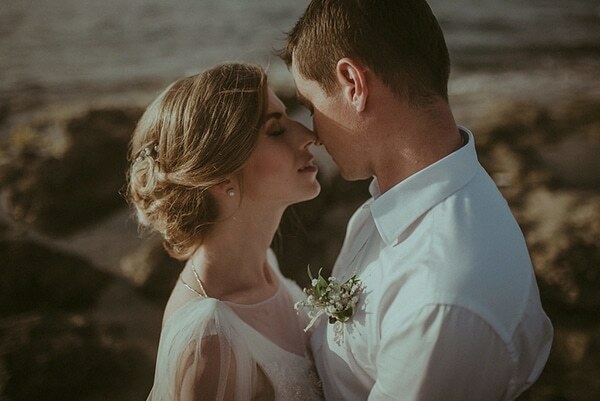 Have a look at the beautiful images of their elopement and you will be smitten! 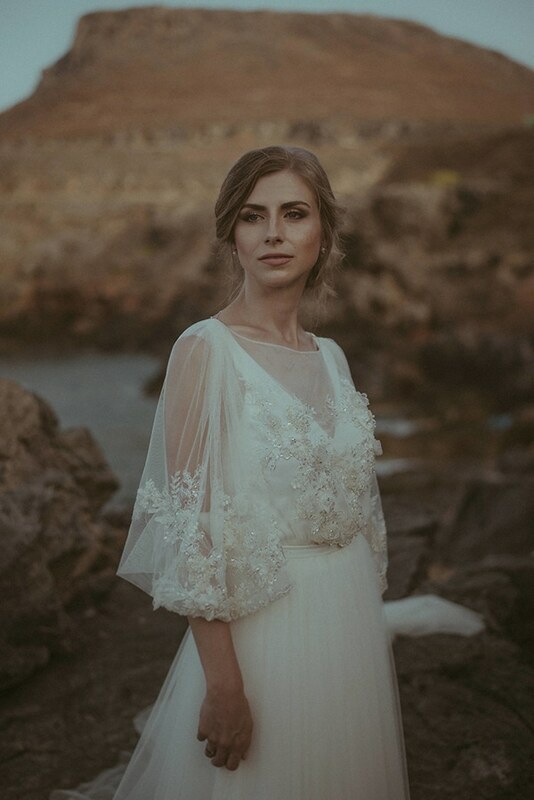 “The ceremony took place in the island of Crete in autumn. 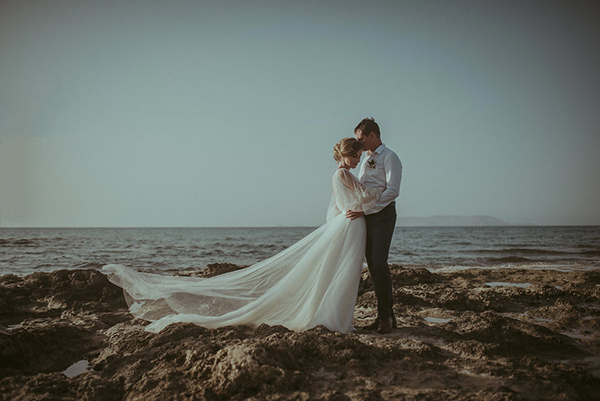 We chose Crete, because we love this island and Greece and we were glad that we could hold our ceremony in such a beautiful place”. 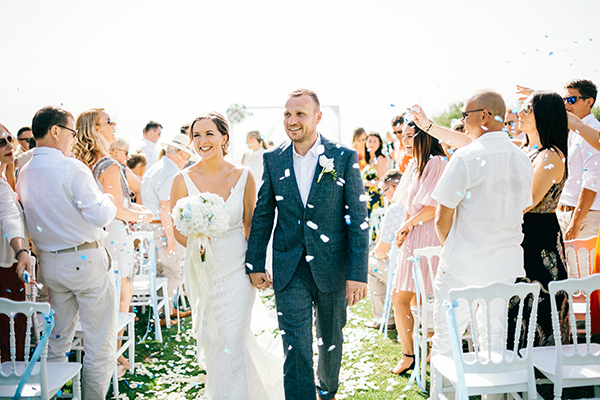 “We were helped by our wonderful coordinator Tatiana Belianko-Mathiodaki and her agency Wedding Crete. I just showed her my wedding dress and Tatiana realized what we needed. The result exceeded all expectations. 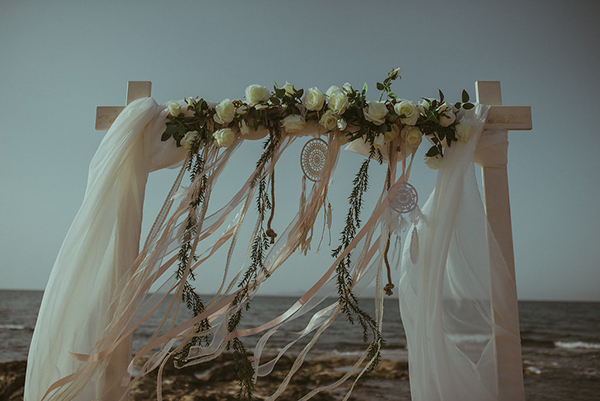 Wedding Crete and decorator Jenny Vakonaki were responsible for the decoration. 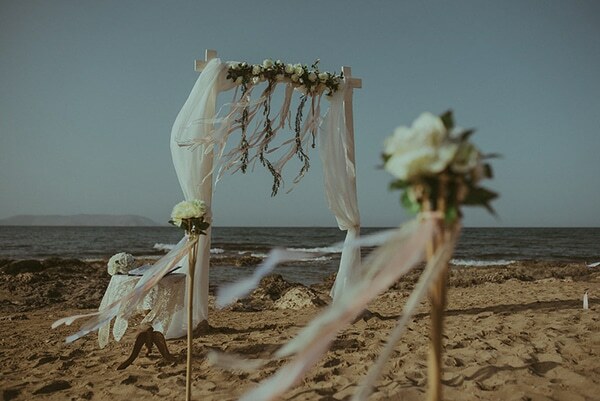 It was an arch on the beach, decorated in boho style. 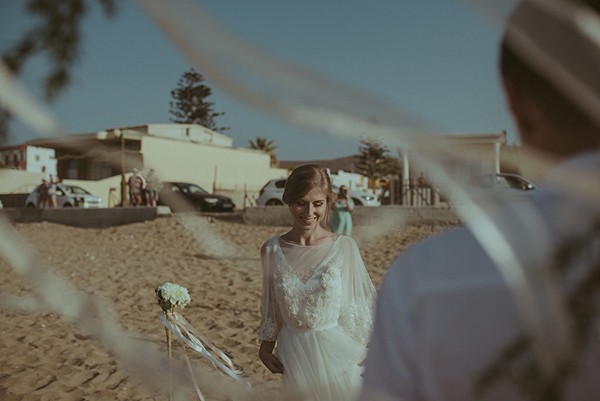 It was very nice and perfect for us”. “We found inspiration on Pinterest and on Instagram. My bouquet consisted of beautiful white roses tied with beautiful ribbons. It is worth noting that despite the hot weather, the bouquet lasted until our return home to Belarus. It was very unfortunate that I could not take it home”. 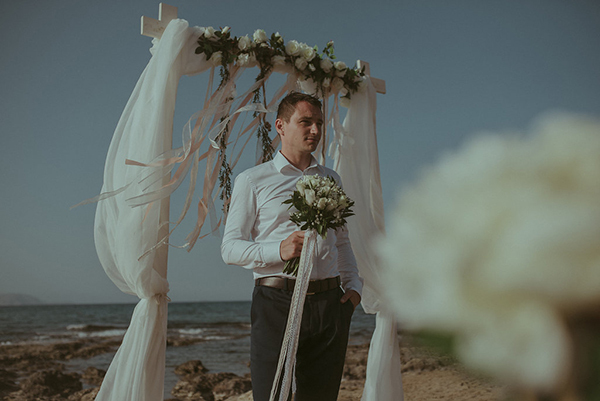 “I cannot single out the best moment, everything was great, starting with a photo session, ending with an incredibly touching ceremony. I almost burst into tears”. 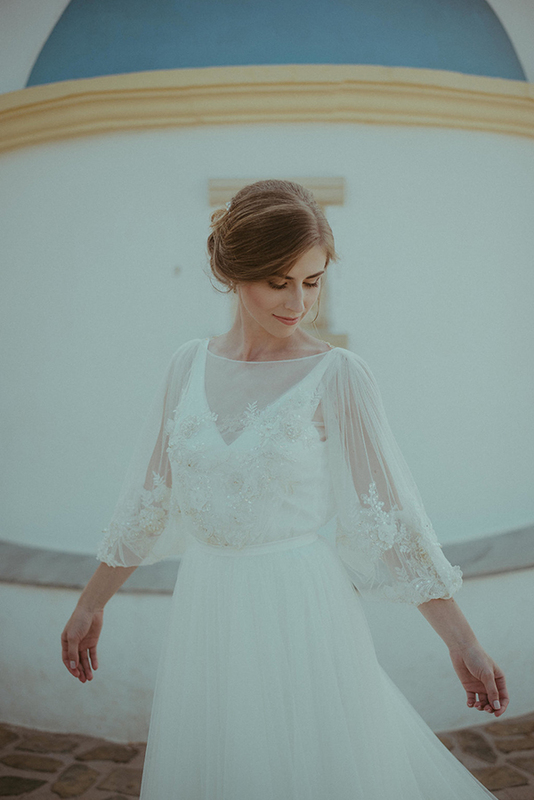 “My wedding dress was of the Belarusian brand, wedding house Rara Avis Group, model Linda. I was attracted by the lush sleeves and an abundance of handwork, and of course an incredible train that looked amazing in photos”. 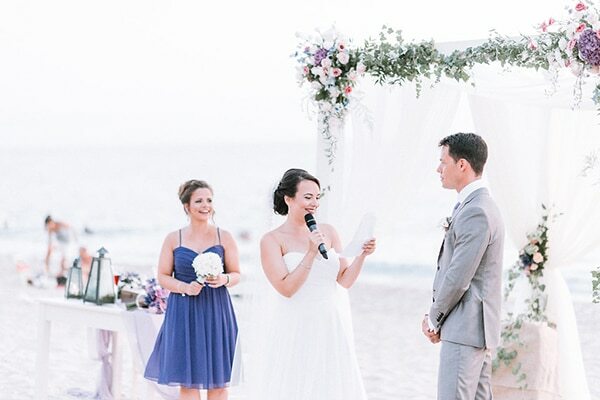 Bride’s advice: “Do not worry! 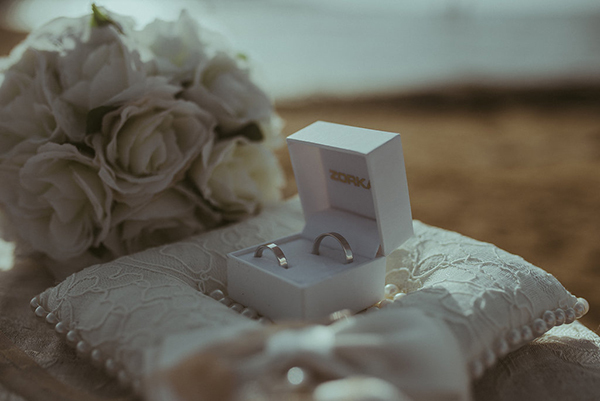 If you can, you should use the services of a wedding agency”.